The Lexington Legends jumped out to a 6-0 lead and held on for a 7-4 win over the Hickory Crawdads. Outfielder J. D. Martinez was 2-4 with a home run, two RBI and two runs scored. The Bowling Green Hot Rods fell into an early 7-2 hole and the team’s rally fell just short in a 7-6 loss to the Burlington Bees. First baseman Ryan Wiegand was 2-4 with a double, two RBI and two runs scored. Louisville Bats infielder Chris Valaika was 1-3 with a double and one of two International League runs scored in the IL’s 2-1 in over the Pacific Coast League in the AAA All-Star Game. Lexington Catholic alum and Twins outfield prospect Ben Revere was 0-2 with a RBI, and former UofL right-handed pitcher and current Blue Jays prospect Trystan Magnuson retired both batters he faced for the East team in the AA Eastern League All-Star game. Former UK catcher and 2010 Astros NDFA Marcus Nidiffer was 2-4 with a home run in his first consecutive game for rookie-level Greeneville. 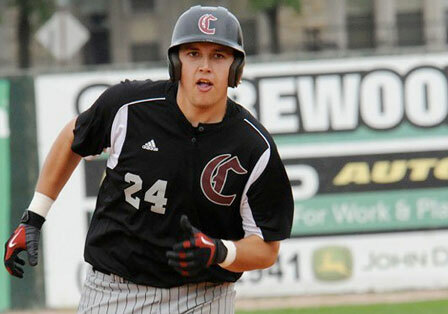 Former Campbellsville catcher and 2010 Diamondbacks NDFA Richie Rowland was 2-2 with his fourth home run of his young professional career, three RBI and one run scored for rookie-level Missoula to bring his batting average back above .400 for the season. Former UofL infielder and 2010 Rays draftee Phil Wunderlich extended his hitting streak to 10 games for short-season Hudson Valley. Former UofL right-handed pitcher and 2010 White Sox draftee Thomas Royse took a no decision after surrendering three runs, none of which were earned, in five innings for rookie-level Great Falls. Former NKU right-handed pitcher Josh Lueke, who was recently traded to the Mariners organization as part of the Cliff Lee deal, has been assigned to AA West Tennessee. Louisville native and 2010 Giants draftee Stephen Shakleford picked up his first professional win with a scoreless inning for the rookie-level AZL Giants.